Celik, S., Murphy. D., Morgan, S., Retzlaff, W., 2018, “Thermal Performance Evaluation of Sloped Green Roofs and Shingle Roofs”, Urban Forestry and Urban Greening, submitted. Celik, S., Morgan, S., and Retzlaff, W., (2016). Benefits of Green Roof Systems: Energy Savings, Stormwater Control, and Economic. Advances in Energy Research, vol. 24 (pp. 33-56), New York: Nova Science Publishers. Karanam, H., Retzlaff, W., Morgan, S., and Celik, S., “Experimental and Theoretical Analysis of Evapotranspiration in Green Roof Systems”, Global Conference on Global Warming, Istanbul, Turkey, July 8-12, 2012. Once, O., Celik, S., Retzlaff, W., and Morgan, S., “Thermal Evaluation of Green Roof Systems Containing Bottom Ash Growth Media”, Proceedings of the IEEE Green Technologies Conference, Tulsa, OK, April 19-20, 2012. Murphy, D., Retzlaff, W., Morgan, S., Celik, S., Luckett, K., and Jost, V., “Evaluating a Residential Green Roof System”, Cities Alive 9th Annual Green Roof and Green Wall Conference Proceedings, Philadelphia, PA, November 29-December 3, 2011. Celik, S., Retzlaff, W. A., Morgan, S., Binatli, A. O., and Ceylan, C., “Energy Evaluation and Economic Impact Analysis of Green Roofs Applied to a Pilot Region in Aegean Coast of Turkey”, Euro Conference, Society for the Study of Emerging Markets, Milas, Turkey, July 16-18, 2010. Celik, S., Retzlaff, W. A., and Morgan, S., “Evaluation of Energy Savings for Buildings with Green Roofs Having Different Vegetation”, 1st International High Performance & Green Buildings Conference at Purdue, West Lafayette, IN, July 12-15, 2010. Celik, S., Morgan, S., and Retzlaff, W. A., “Energy Conservation Analysis of Various Green Roof Systems”, Proceedings of the IEEE Green Technologies Conference, Grapevine, TX, April 15-16, 2010. Sidwell, A., J. Gibbs-Alley, K. Forrester, V. Jost, K. Luckett, S. Morgan, T. Yan, B. Noble, and W. Retzlaff. 2008. Evaluation of the thermal benefits of green roof systems. Conference Proceedings Sixth Annual Greening Rooftops for Sustainable Communities Conference Awards and Trade Show. Baltimore, MD, April 30 – May 2. 11 pp. Once, O., S. Celik, W. Retzlaff, and S. Morgan. 2012. Thermal evaluation of green roof systems containing bottom ash growth media. IEEE Green Technologies Conference, Tulsa, OK, 19-20 April. Celik, S., S. Morgan, W. Retzlaff, and H. Karanam. 2012. Experimental and theoretical analysis of evapotranspiration in green roof systems. Oral presentation at the Global Conference on Global Warming, Istanbul, Turkey, 8-12 July. Celik, S., Morgan, S., and Retzlaff, W., Once, O., “Thermal Insulation performance of Green Roof Systems”, 6th International Green Energy Conference, Eskisehir, Turkey, June 5-9, 2011. Celik, S., S. Morgan, and W. Retzlaff. 2011. Thermal insulation performance of green roof systems. Oral presentation at the 6th International Green Energy Conference (IGEC-VI), Eskisehir, Turkey, 5-9 June. Ostendorf, M., W. Retzlaff, K. Thompson, M. Woolbright, S. Morgan, and S. Celik. 2011. Thermal performance of green retaining wall systems. Poster presentation at Cities Alive 9th Annual Green Roof and Green Wall Conference. Philadelphia, PA. 29 Nov. – 3 Dec.
Murphy, D., B. Ferando, K. Luckett, S. Morgan, S. Celik, and W. Retzlaff. 2010. Evaluating the thermal performance of residential green roof systems. Poster presentation at the 102nd Annual Meeting of the Illinois State Academy of Science, Millikin University, Decatur, Il. 9-10 April. Celik, S., S. Morgan, and W. Retzlaff. 2010. Energy conservation analysis of various green roof systems. Oral presentation at IEEE Green Technologies Conference. Dallas/Fort Worth Grapevine, TX. 15-16 April. Celik, S., S. Morgan, and W. Retzlaff. 2010. Evaluation of energy savings for buildings with green roofs having different vegetation. Oral presentation at High Performance Building Technologies Conference. Purdue University, West Lafayette, IN. 12-15 July. Sidwell, A., W. Retzlaff, S. Morgan, and K. Luckett. 2009. 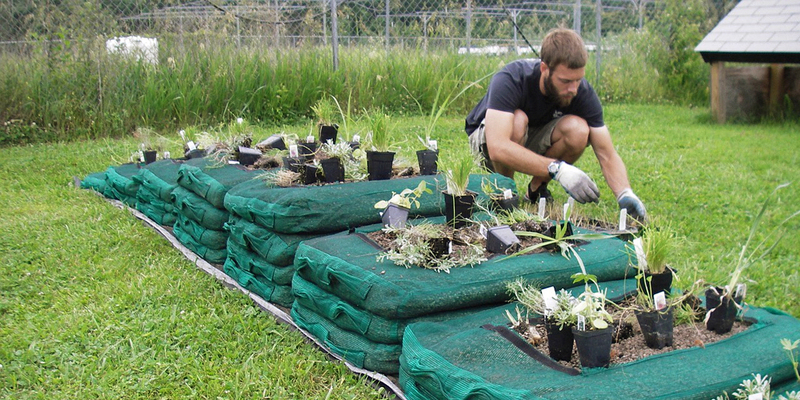 Depth, media type, and plant species selection affects thermal performance. Poster at Seventh Annual Greening Rooftops for Sustainable Communities Conference Awards and Trade Show. Atlanta, GA, 3-5 June. Retzlaff, W., D. Gerstenecker, L. Richter, and M. Woolbright. 2009. Thermal performance of biowalls. Poster at Seventh Annual Greening Rooftops for Sustainable Communities Conference Awards and Trade Show. Atlanta, GA, 3-5 June. Middleton, Z., M. Woolbright, S. Morgan, V. Jost, K. Luckett, and W. Retzlaff. 2008. Evaluating the thermal performance of green wall systems. Poster at 100th Annual Meeting Illinois State Academy of Science, Urbana-Champaign, IL. 4-5 April. Sidwell, A., K. Luckett. S. Morgan, T. Yan, B. Noble, and W. Retzlaff. 2008 Evaluation of the thermal benefits of green roof systems. Oral Presentation at 100th Annual Meeting Illinois State Academy of Science, Urbana-Champaign, IL. 4-5 April. Sidwell, A., J. Gibbs-Alley, K. Forrester, V. Jost, K. Luckett, S. Morgan, T. Yan, B. Noble, and W. Retzlaff. 2008. Evaluation of the thermal benefits of green roof systems. Oral Presentation at Sixth Annual Greening Rooftops for Sustainable Communities Conference Awards and Trade Show. Baltimore, MD, April 30 – May 2nd. Wackerly, A., J. Gibbs-Alley, K. Forrester, V. Jost, K. Luckett, S. Morgan, T. Yan, and W. Retzlaff. 2007. Evaluation of the thermal benefits of green roof systems. Poster at 99th Annual Meeting Illinois State Academy of Science, Illinois State Museum and Lincoln Land Community College, April 20-21, 2007. Ostendorf, M., M. Woolbright, S. Morgan, S. Celik, and W. Retzlaff. 2011. Evaluating the thermal benefits of living wall systems. Poster presentation at the 103rd Annual Meeting of the Illinois State Academy of Science, Eastern Illinois University, Charleston IL, 8-9 April.